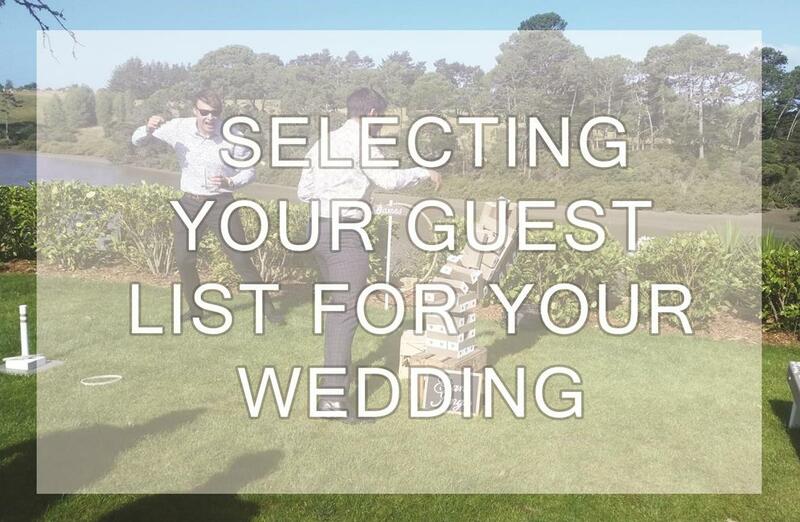 Completing the guest list is one of the hardest tasks of wedding planning and one that can cause regrets with many couples. This can be because they have either left out guests they really would have liked to come because of budget constraints or venue capacity. Or it can be from inviting guests they really would have preferred to leave out, usually caused by family or social pressure. Before you start any other wedding plans, begin writing out your guest list. We suggest writing down everyone you know, friends and family, co-workers, acquaintances. Look through your address book, your phone and your facebook. Consider if your parents will be requesting to invite family friends too. Understand too that along the way you may find that you have missed a couple of people or you may even make some really good friends over this time that you will want to add. Finding what capacity your venue has is the easy part, there are a few other questions you need to ask before booking or completing your list. Most venues have a minimum requirement; make sure you know what it is and that you qualify. If their requirement is minimum 80 and you’ve invited only 75 guests, you could be paying for the extra 5 seats. You may also want know how many guests the venue sits comfortably. The venue may say they can seat 200 but that may mean they can squash in 200 and be able to sit 180 comfortably. There’s nothing worse than being a guest sitting shoulder to shoulder with someone you may not know very well and not having enough room to walk between the tables. As soon as you have finalised your list you can send you’re ‘save the dates.’ Save the date cards have become so popular and these days with the busy lives we all lead they are invaluable to guests. Most couples are inviting guests from other cities and from overseas. For these guests ‘save the dates’ are invaluable , both for budgeting the trip, booking flights and accommodation and also for arranging time off work. You can set up a wedding website, a facebook page, you can even send emails or cards by the old fashioned snail mail to do this. Of course you will get some guests that can’t make it, in most situations that will be 15-30% of invitees but you can’t count on that, they may all come! As a general rule the smaller amount of guests you invite the higher percentage will actually attend, this is because it will be mostly family and close friends. The same goes the opposite way, if you have invited 350 guests, many of them may be co-workers or acquaintances that will decline your invitation and that percentage could be higher. If you are having a destination wedding this could also affect your guest list. Never count on your invitees declining though as this often backfires.